The week following the Carolina Kite Festival is one of cleaning out kite bags, re-organizing kites and getting things stored away until the next festival. It is also a time to rest and recharge from the intensity of two long days on the beach. The first fun fly after a festival is usually a lightly attended one and this week it was no different. And as usual, we were visited by “The Sunday Curse”. 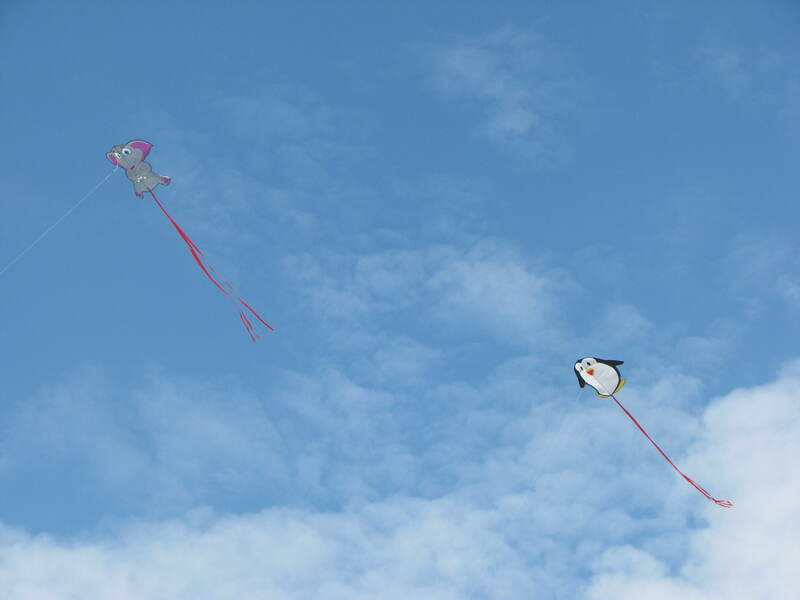 The winds were light as we drove into the parking lot but we were prepared and had brought our light wind kites. 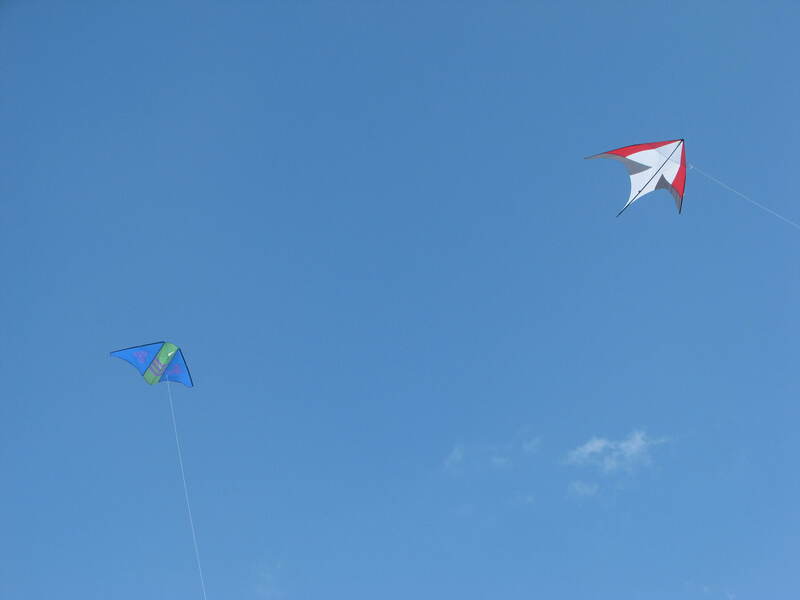 We got to the beach and had a few kites up and flying when the curse hit. The wind completely died. 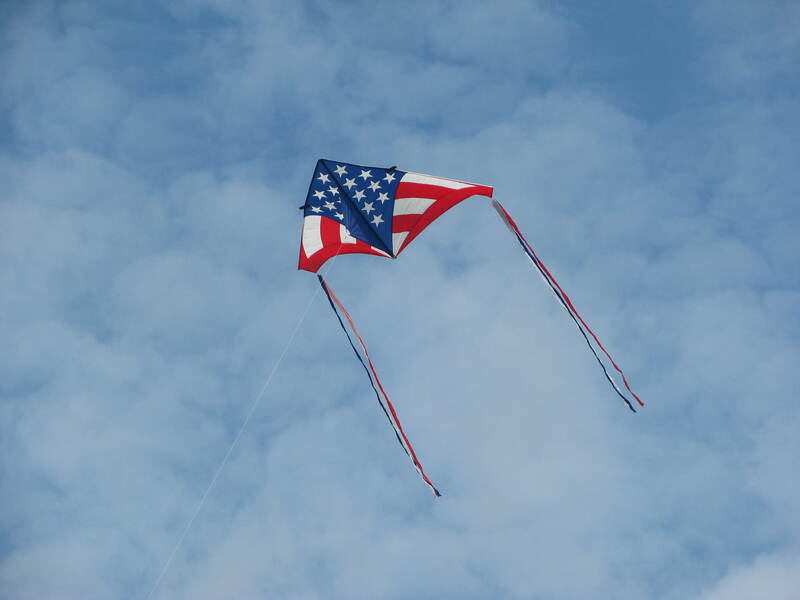 The flag above the fort wrapped itself around the pole and all kites drifted slowly to earth. 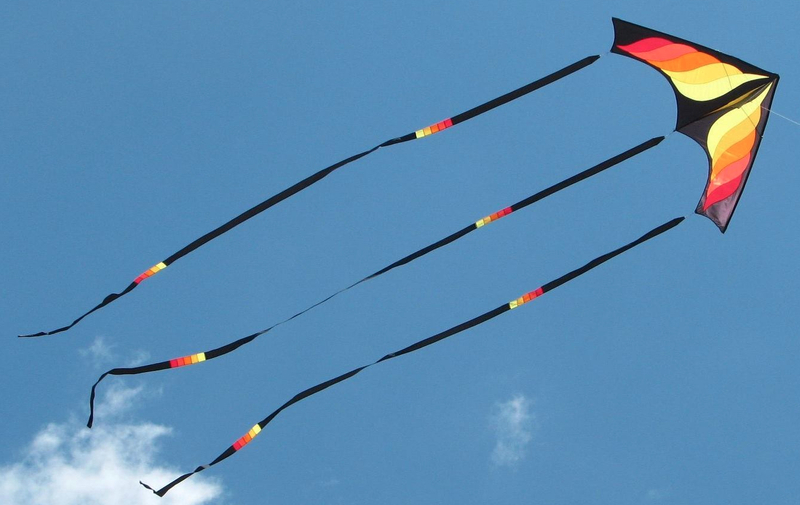 Now what do kite flyers do when the wind stops? They sit around and solve the problems of the world and ponder if they should just pack up and go home or not. We are diehard kite flyers and we waited. The winds rose a little and some kites went back up. 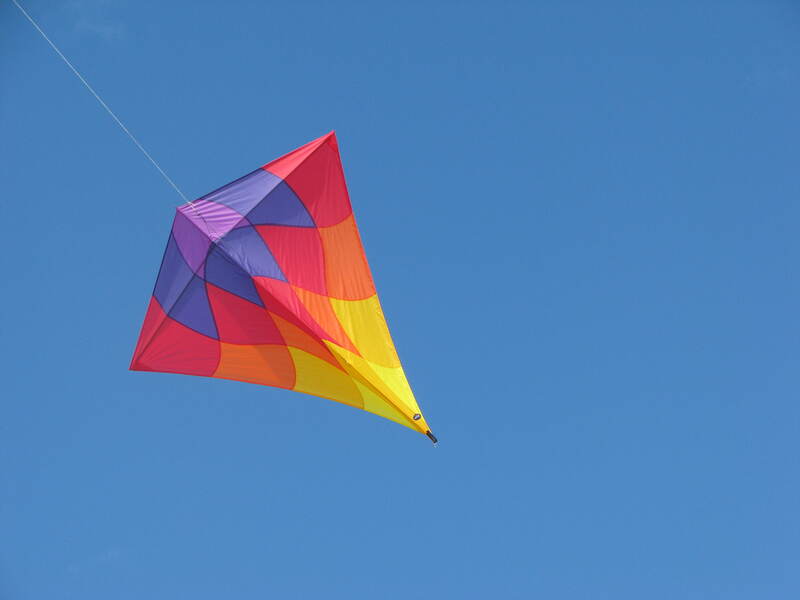 One of the kites I struggled to fly was a Malay Diamond, “Sunset”, by Into The Wind. My husband has the Sunrise Malay. This kite was an anniversary present and I really wanted to get it up, even though I knew the winds were gong to be a little too light to give enough lift. So I stubbornly persevered and got it to fly for a little while. What ultimately drove us off of the flying field was not the lack of wind but rain. Quicker than we expected, clouds blew in and it began to rain. Now getting a little wet is not a bad thing. But having to pack up wet kites and then unpack and dry them when you get home is not fun. 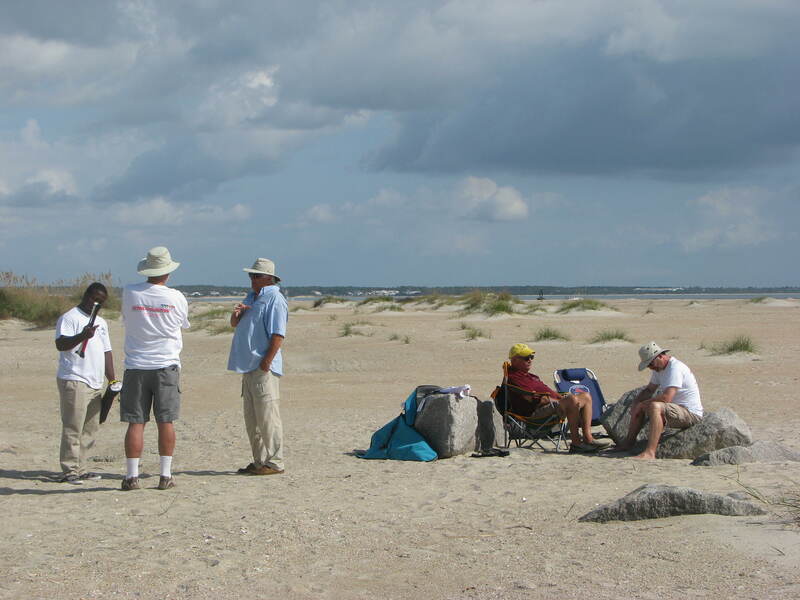 There is never enough space to spread out a bunch of kites, kite bags, anchor bags and spools of kite line. All is dry now and we’re looking forward to more fine fall days to put color in the sky.